From animated explainer videos to children’s cartoons, Mair creates custom animations which communicate specific needs. 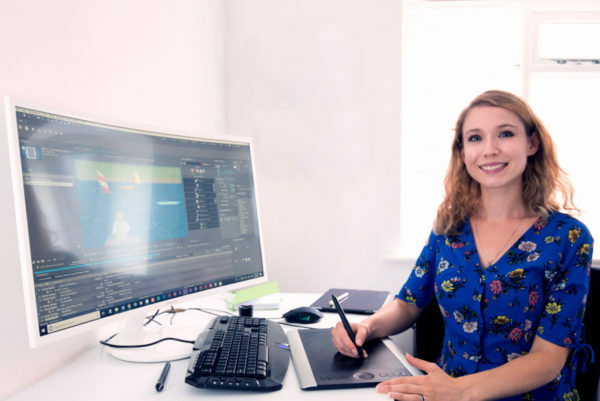 She’s responsible for managing all stages of client projects; this includes everything from the art direction to storyboarding to project management. As a one-person business, she has a lot on her plate! “I would never start a project before storyboarding! 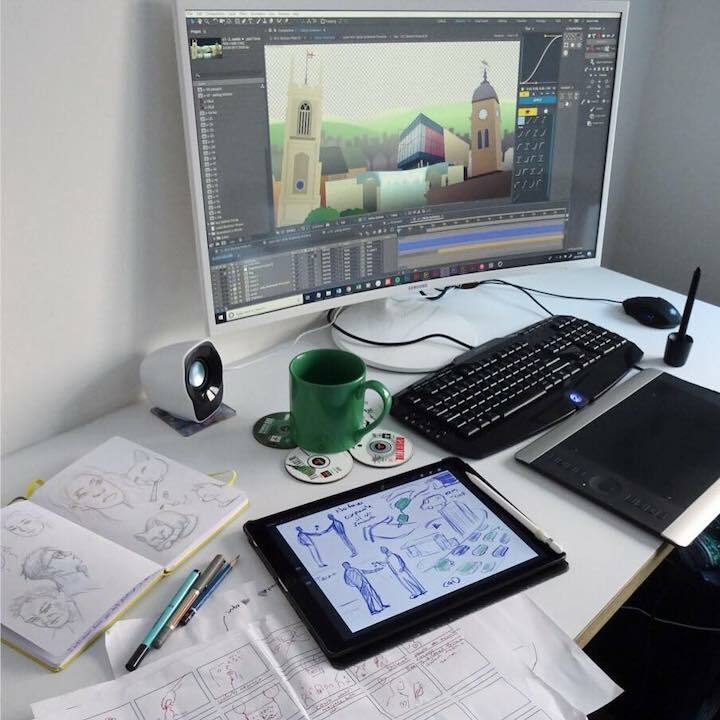 As a one-person business, time is very valuable and limited so storyboarding saves time by minimising revisions at the animation phase. In the past, Mair tried a multitude of options in her search for software that would simplify presenting storyboards to clients. She needed something that would be quick and easy to use but would still produce professional-looking storyboards that she felt confident sharing with clients. “Before Boords, I tried InDesign, Illustrator and Photoshop, but storyboard revisions were a nightmare. Before making the switch to Boords, she was using Google Docs to share her work with clients. With this approach, Mair found that importing and re-arranging her images was time-consuming and difficult to manage. She wasn’t satisfied with the presentation of her work and keeping up with client feedback was an ongoing struggle for her. “Keeping track of storyboard versions and client notes was a pain. The transition to Boords was a seamless one; “I don’t remember any learning curve…it’s really straight forward”. Boords is now an integral part of her workflow – she relies on it throughout the production process. Mair begins her projects by adding the script to the note fields in Boords. From there, she’ll often switch to Photoshop to sketch out her frame ideas using the script in Boords as a reference point. Once the sketched images are complete, she’ll drag & drop these images directly into Boords. She’s then ready to present the storyboard to her client to collect the first round of feedback. Depending on her client’s preference, she’ll choose to share her work either via the shareable link or by exporting to PDF. Boords is particularly valuable during the revision phase of Mair’s projects when she’s focused on responding to client feedback. In comparison to her old process, she now finds that revisions are “incredibly quick and easy”. Boords takes the pain out of routine tasks like re-arranging, adding and deleting frames. “Just dragging, adding or deleting frames is so quick in Boords but was time consuming in the other software I tried. She finds that she’s not spending nearly as much time trying to get the software to work for her and as a result, she has more time and energy to focus on what’s truly important in her business. “I was spending so much time fiddling with software to do mundane tasks. These are all simple, straightforward tasks in Boords so now I have more time to focus on the creative stuff! With Boords at the core of her workflow, Mair’s working relationships with clients have noticeably improved. “I was working faster and my clients responded to storyboards faster too as they’re more clearly presented in Boords. Projects were progressing quicker and more smoothly, which ultimately led to more satisfied clients and as a result, more repeat business for Mair. “I tried Boords with a new client back in 2017 and they were really impressed with how I was using Boords to collect feedback on storyboards. Since then, they’ve become a repeat client!